It was a day of sadness in remembering our past chairman and his birthday as we enjoyed the free drinks and cupcakes in the sunshine. It was also a day to savour the potential at last of an enjoyable football match under the new management style of Brendan Rodgers. Could we at last win a match against Bournemouth as a tribute to The Boss? Morgan replaced the suspended Maguire so Rodgers had resisted trying out Soyuncu in the centre of defence. City started the match on the front foot with Barnes, Maddison and Tielemans seeing a lot of the ball but Bournemouth quick on the break with Fraser a particular menace. City took an early lead in the 11th minute- unusually from a corner which was quite a surprise as our corners normally carry no threat whatsoever!. 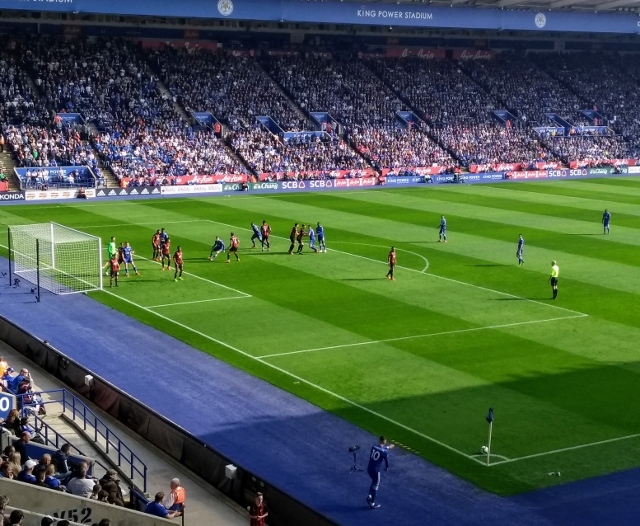 Maddison’s corner was long to the unmarked Chilwell. He hit it across goal and Morgan deftly flicked it in off the post into the net. I will give big Wes the benefit of the doubt and say that it was a training ground move! This did not deter Bournemouth and they continued to threaten City particularly on their left wing where Fraser was giving Ricardo and Gray a torrid time. Bournemouth should have levelled soon afterwards when Schmeichel brilliantly saved from Wilson’s point blank volley. It was a turning point in the game. Gray continued to frustrate with his inability to pass accurately at the right time or control the ball but Ricardo always looked to burst forward. 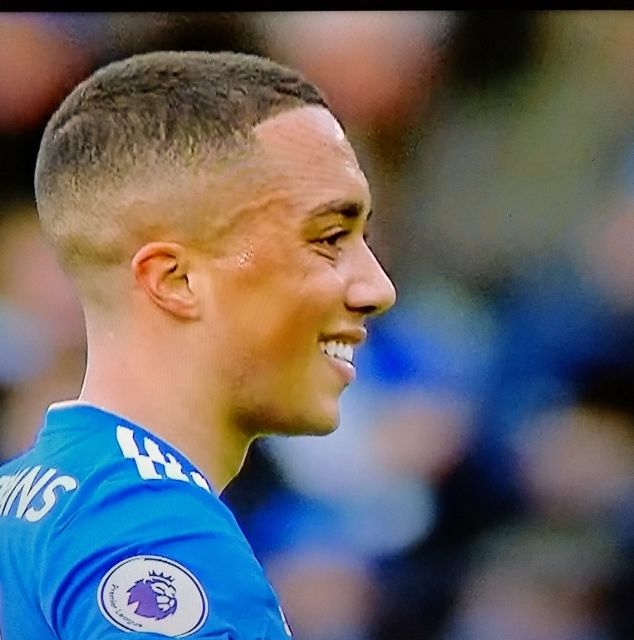 Tielemans looks a real find and set up an unmarked Vardy for what should have been a second goal but the shot was scuffed wide. It was an absolute sitter. City continued to dominate with Evans particularly strong in central defence and the half ended 1-0. 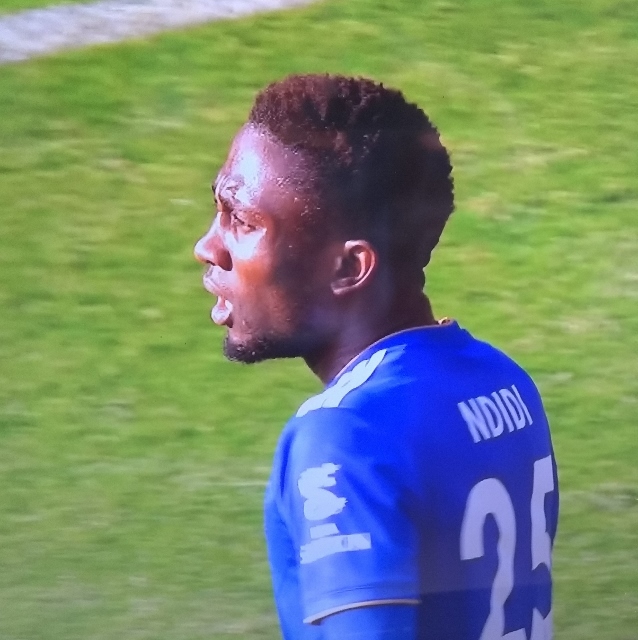 City’s second half performance went up a gear and N’Didi’s display was absolutely awesome. Many times his long legs got the ball to prevent a Bournemouth attack and it set the tone for the rest of the team. 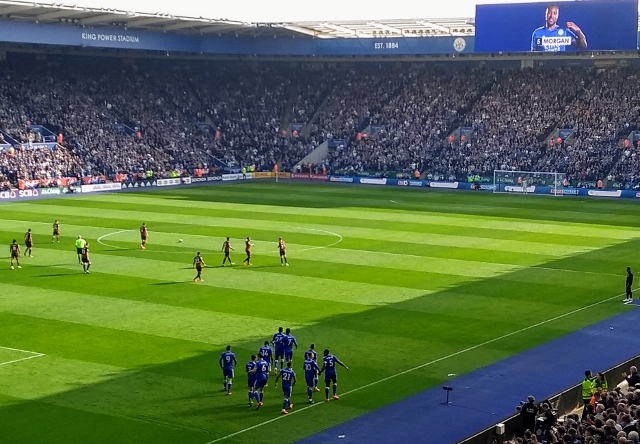 The crowd responded to this new vibrant City side playing with the Puel shackles removed and showing at last their true potential. Yes, the Rodgers style is still a passing game but it has a purpose and chances are created. No longer is Vardy isolated up front. 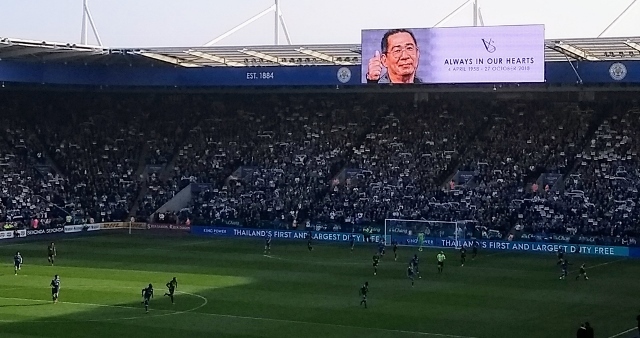 On 61 minutes, on the week of our past chairman’s birthday and not many days after his cremation in Thailand, the whole crowd erupted into 5 minutes of continuing singing and chanting. Few clubs hold their chairman in such high affection and it was a moving tribute to The Boss. With just eight minutes remaining, Tielemans and Ricardo combined on the right. Tielemans put in a superb cross and Vardy leapt high between two defenders to head the ball in off the crossbar. 2-0 and well deserved. City looked to add to the score afterwards with another Vardy shot well saved. The end of the game was well managed and the crowd left satisfied with a deserved 2-0 victory. City now move into eighth place in the league after three wins in a row and there are encouraging signs that an exciting style of play is emerging which suits the players abilities. Maguire was not missed and Tielemans continues to impress. Signing him up for the next season is a priority. Jamie Vardy is back in form, leading the line and is thriving on chances created. Another back up striker signed in the close season also must be a high priority. Demari Gray continues to be an enigma that Rodgers need to solve, but with Albrighton coming back to fitness, City have options. It is a pity that the end of the season is approaching and there are few games left to obtain points to climb the table. City have been reinvigorated under Brendan Rodgers management and I can look forward to going to football matches again! 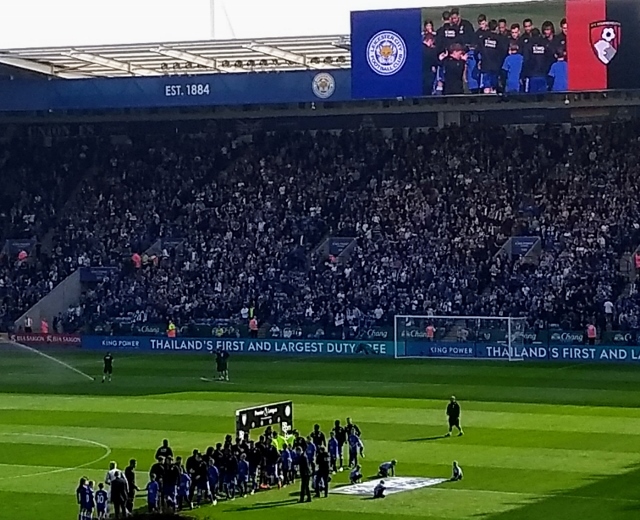 Leicester: Schmeichel; Ricardo Pereira, Morgan, Evans, Chilwell; Tielemans, Ndidi; Gray (Ghezzal 89), Maddison, Barnes (Mendy 72); Vardy (Iheanacho 90). Subs not used: Ward, Fuchs, Söyüncü, Okazaki.